PHUKET: The Phuket Provincial Waterworks Authority (PWA) has announced mains water supply shortages on Friday (Mar 22). 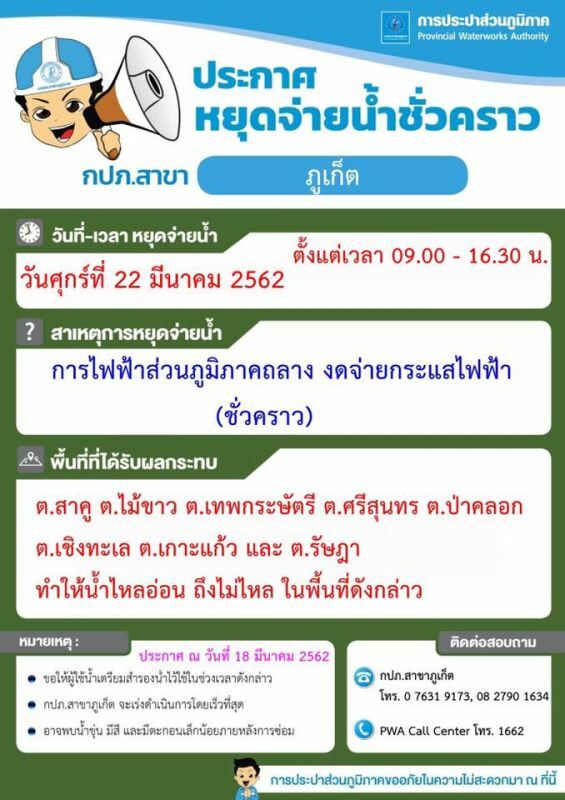 Areas to be affected between 9am-4pm are parts of Sakoo, Mai Khao, Thepkrasattri, Srisoonthorn, Pa Khlok, Cherng Talay, Koh Kaew and Rassada. 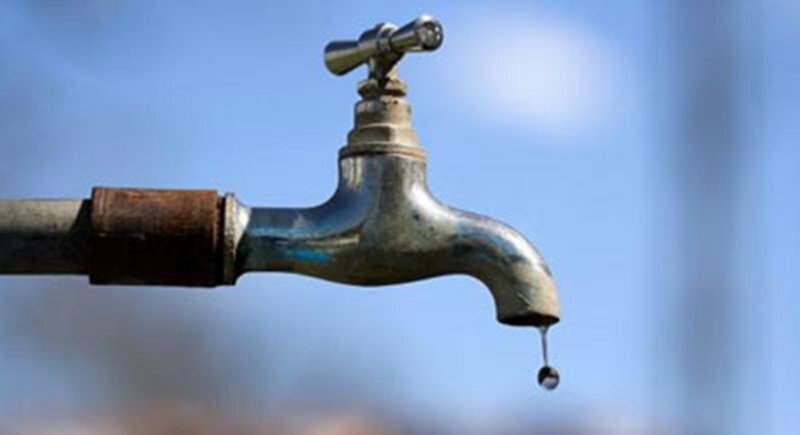 Power outages by the PEA are the reason for the water supply shortages and will cause water pressure to be low or completely shut off during this time. The PWA advised people in affected areas to collect any water required beforehand. It is expected that the water may have some discolouration once the supply is back to normal. The PWA apologised for an inconvenience caused. For more information, call the PWA on 076-319173, 082-7901634 or call centre 1662. So far only read about & experience water shortage on Phuket island, effecting inhabitants and tourists. We read that Government is going to make 'plans' to solve water shortage., a bit late, is itn't? Plans, that will be discussed for months. Than the plans dry up as the rains are there again. Everything drops to passiveness again, until next year. Than make new plans.